Photo Caption A: Berkeley College celebrates the induction of 73 students into the New York and New Jersey chapters of the National Society of Leadership and Success during a ceremony held at the Venetian in Garfield, NJ, on January 17, 2018. Berkeley College celebrated the induction of its fourth cohort of students into the New York and New Jersey chapters of the National Society of Leadership and Success (NSLS) during a ceremony held at the Venetian in Garfield, NJ, on January 17, 2018. Students are selected for membership to the NSLS, the nation’s largest leadership honor society, by their colleges based on either academic standing or leadership potential. 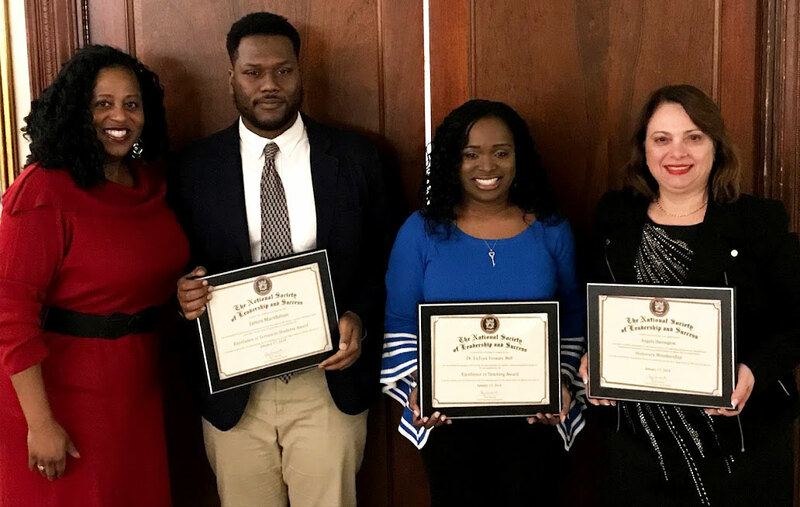 Forty previously inducted members from the Berkeley College chapters were also recognized for receiving National Engaged Leadership Awards from the NSLS. The award is given to members who have attended a select amount of events and training, as well as completed at least five hours of community service.